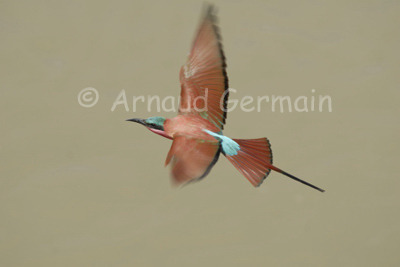 Each year, in October, the carmine bee-eaters establish very large colonies in the banks of the Luangwa river, Zambia. I took this picture looking down towards the river, with the bird flying below me. These colonies are really impressive especially at sunset, when the birds come back to their nest to spend the night.